A lot of odds and ends tonight, as I have been sort of scattered and busy — and found out tonight that my main website is down (aargh). thankfully Frank’s is fine. finally found this PDF online, World War 2 European Theatre Sequence, which gives more details and dates and is the detailed background of this PowerPoint presentation Frank sent me a while ago. I used this in my Map Institute final project. there’s sound in the PowerPoint original — it’s very informative. still haven’t coordinated Lodz Ghetto postcard images with Frank’s granddaughter — my fault because I haven’t followed up, so Frank is going to see her and talk to her this weekend. tonight Frank and I were trying to figure out the dates for the Chmielnik yizkor book, the original of which is digitally available at the NYPL’s Dorot Division. i think Frank said he saw this before but it’s a little hard to navigate so he’s going to go over one of the sections that was relevant to him. i sent a query to JewishGen’s Yizkor project leader to see if Frank might be able to donate any translation he does. they have done an amazing job of translating so many books. of course this one is not translated, but might be in progress. 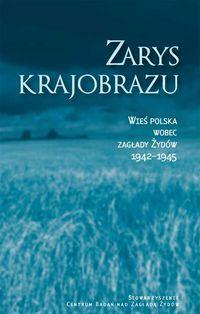 the Polish book, Zarys krajobrazu : wieś polska wobec zagłady Żydów 1942-1945, is published, but i need to write to the publishers in Warsaw at The Polish Center for Holocaust Research asking when / if it will be published in English. it’s a very important book. i want to go over submission guidelines for Yad Vashem Righteous to see if there’s documentation and/or help i can give Frank to maybe resubmit or strengthen his letter in regards to the guard who saved his life. need to focus on that as a top priority. Frank wants this done before he dies. This entry was posted on November 17, 2011 by Erika Herzog. It was filed under Frank Dobia Archives .